A unique and refreshing love story is chronicled in Looking Glass Friends: A Novel Inspired by Real Love Letters by E.L. Neve. The relationship that grows between Neil and Ellie begins with her gift to him of a book, Atlas Shrugged. Neil worked in the local bakery that Ellie frequented, and she felt compelled to share this work with him. This book literally changed Neil’s life in many ways. Through email communications, they discovered a connection not felt in each of their marriages. The deep level of sharing and understanding between them did not exist elsewhere in their lives. Ellie is devoted to her little five-year-old son and thinks it would be devastating to disrupt his life. Whether this soulmate relationship survives at all, or if it will culminate in a permanent relationship, is the main theme of the story. 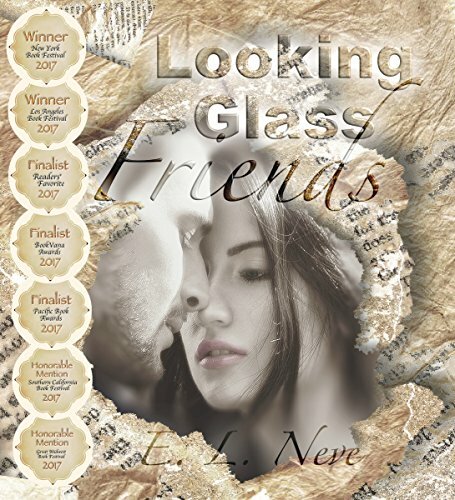 E.L. Neve has written a compelling story in Looking Glass Friends. The focus is on the meeting of minds, rather than a physical sexual relationship – and that is truly refreshing in today’s romantic genre of books. The quality of the author’s writing is superb and thought-provoking. The development of the four main characters – Neil and Ellie, and their spouses Jake and Fay – is certainly intriguing. Likewise, the concepts of what qualities a meaningful love relationship should entail is interesting to mull over while reading this novel. This is a novel to be cherished and considered, not read through quickly - a true gem in the contemporary world of love stories. Giveaway ends January 22, 2017. 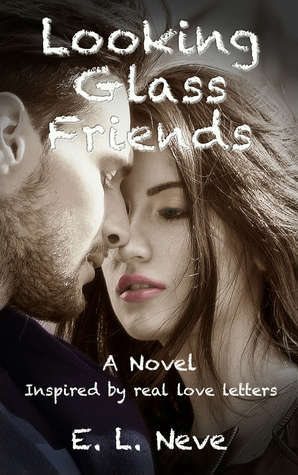 Looking Glass Friends by E.L. Neve is a novel inspired by real life love letters. The story revolves around two unlikely friends and the love story that unravels between them. Neil is a man troubled by depression and guilt, who toys with the idea of suicide and has seemingly withdrawn from his wife and the world around him. In contrast, Ellie is a highly intelligent young woman who loves Ayn Rand novels. The two cross paths at the bakery where he works and she visits weekly, and Ellie buys him a copy of Rand’s Atlas Shrugged as a form of thanks after he sells her the cream puffs he had set aside to take home. Like so many books do, the novel changes Neil’s life and he reaches out to Ellie via a letter scrawled on yellow notebook paper. They find kindred spirits in one another; despite both of them being married each finds they no longer connect with their spouse, and Ellie and Neil grow close over the course of their correspondence. 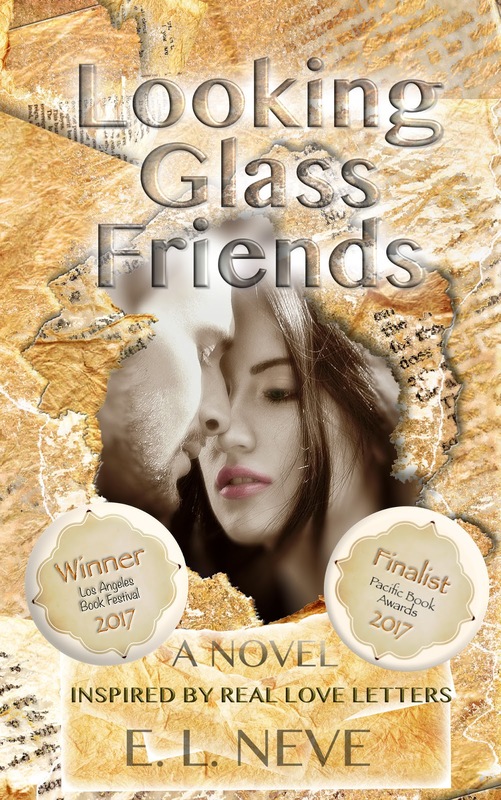 With rich language and vivid description, fans of romance should look no further than Looking Glass Friends to quench their thirst for passion and matters of the heart. One of the things that I loved about this book was it reinforced that a relationship and the bond that you create with your partner should make you strive to be better, to never cease learning, and above all, to grow together. In addition, Neve forces readers to confront uncomfortable truths in regards to the consequences of their correspondence, a realistic touch that grounds readers whilst they fall for the love story of Ellie and Neil. For instance, while Neil is happy because of his e-mails with Ellie, his wife Fay is conflicted; although she is happy that he is slowly coming back to life, she knows that it is not her doing, but another woman’s. This sense of inner conflict repeats itself in other characters in the novel, as they must decide whether or not the chances they take are worth the risks they pose. The author wrote an incredible story that tugged at the heartstrings without making it seem outlandish or over dramatic. 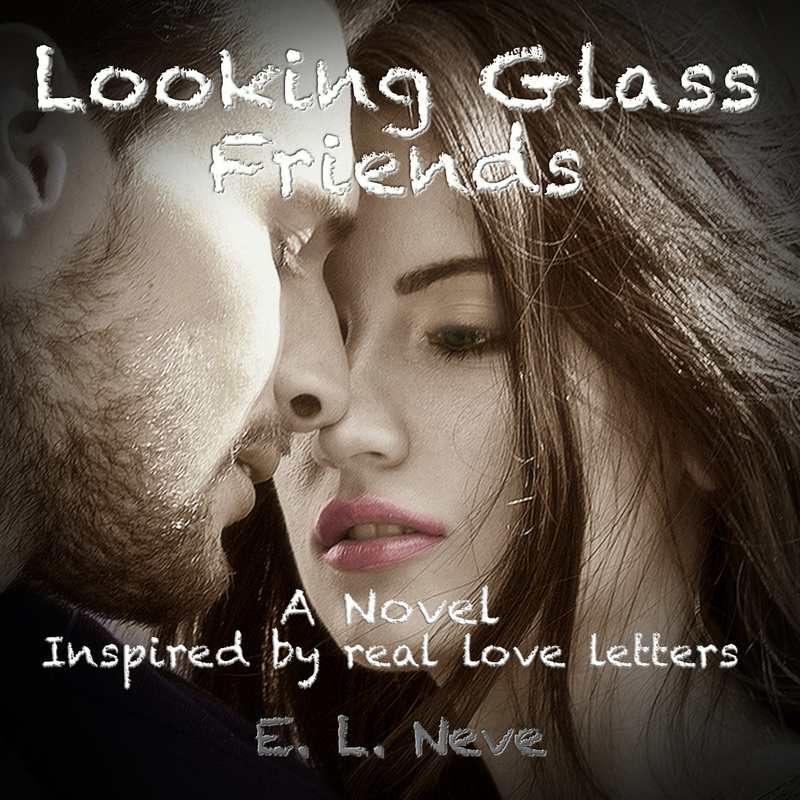 Looking Glass Friends: A Novel Inspired by Real Love Letters by E.L. Neve is a beautiful fictional love story between Neil and Ellie and has been taken from the author’s insights, perceptions, and experiences. Neil is married to Fay and is unhappy in the marriage and moves through his days with a frozen soul. The spare room in their house is his private sanctuary and his secret gateway to imaginary worlds which he refuses to share with his wife. Ellie, on the other hand, finds her life changing after reading the books of Ayn Rand which her husband Jake had recommended to her. Ellie hands over Atlas Shrugged by Ayn Rand to Neil, whom she meets at Bake4U, and the philosophy in the book brings about a change in him. He finds himself being drawn to Ellie and is keen to strike up a friendship with her. He then writes a letter to Ellie and leaves the book and letter at Bake4U. When Ellie picks up the book and reads the letter, though she is unable to recollect what he looked like, she feels an unusual connection with the stranger, something which could not be explained. Will Ellie be able to leave her husband and her five-year-old son and find happiness with Neil? The book beautifully highlights the concept of soul mates, one’s mirror image, or your looking glass friend, as the author terms it, through this story. The meeting of Ellie and Neil finally, after connecting through letters, is expressed vividly and aesthetically, touching the hearts of readers. The story also speaks about the importance of being happy and not sacrificing their lives for the sake of kids. The story of Neil and Ellie gives hope and courage to millions of couples who live in unhappy marriages for the sake of their kids. The four characters, Jake and Ellie, and Neil and Kay, are well portrayed and they come across as real and tangible. The story is passionate and filled with desire for loving the right person or the looking glass friend, as the author terms it, and is definitely uplifting for all those who are looking for their soul mate. 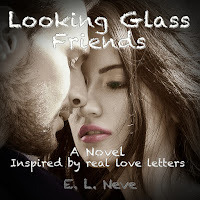 Looking Glass Friends: A Novel Inspired by Real Love Letters by E.L. Neve is a compelling romance, a brilliant, gripping story featuring a man and a woman who discover an alluring attraction to each other by exchanging emails. Ellie and Neil are both married. Not having known each other before, they start an email conversation around a book and, not long after, they begin to feel drawn to each other. They have never felt this way before. Can they take the risk of throwing away the lives they have painstakingly created for the freedom of an uncertain love? There is a lot at stake in this book and a lot for readers to enjoy. E.L. Neve’s writing is thoughtful and evocative, a style that will appeal to many readers, especially those who love poetry and reflective thinking. The plot is well-paced and the author creates a lot of suspense that arouses interest in the reader. I enjoyed the fact that the characters are well-sculpted; both are already married and the fact that they would have to leave their families or risk the lives of their families for the powerful stirrings of their hearts helps in intensifying the conflict. The reader feels the emotional and psychological tension that builds up through each page. The setting is also fascinating and I enjoyed the fact that the author used letters in his style to build plot and characterization. Looking Glass Friends: A Novel Inspired by Real Love Letters is a novel that captures the reality that many people experience in a compelling manner — getting hooked on virtual space. The question is: What does it feel like to meet the person who’s been hidden behind the keyboard? An entertaining and richly construed story. A cerebral love story about two married strangers who fall in love over email, discussing Ayn Rand's novel, Atlas Shrugged. Inspired by real love letters, this is a story about the power of books to connect our souls long before our bodies meet. Kristine Hall's thought-provoking author interview is now live. I love her questions. Her mind divined all the nuances that went into creating Looking Glass Friends. Hall Ways: Which of Ayn Rand’s ideas influenced this story most? E. L.: The idea that life is about happiness, not sacrifice. And more than that. The book shows that sacrifice doesn’t work. That’s the big question at the heart of the story: Can Ellie secure her little boy’s happiness by staying with a husband she’s growing to hate? I’ve seen so many unhappy couples in my life, who stay together for the sake of their kids. I wanted to show a better alternative, to give them hope and courage. Keep reading on Hall Ways Book Blog. Over 650 people entered this Amazon Giveaway. There are still 8 books left. I hope you'll play. And for news of future giveaways, follow me on this blog, or Facebook. Thank you, to each of you, for taking the time! I'm thrilled to share the book after two years of writing. You could win a Kindle edition of this cerebral love story about two married strangers who fell in love over email, without remembering each other's face. 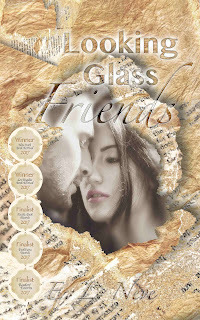 "Looking Glass Friends" is a cerebral love story, inspired by real love letters. The book was just published mid-December 2016 and is available on Amazon. If you are interested in receiving a free Kindle copy in exchange for an honest review on Amazon and Goodreads, please leave a comment, or send me a message on Goodreads. CAN OUR SOULS FALL IN LOVE...BEFORE OUR BODIES MEET? Ellie and Neil fell in love over email, discussing Ayn Rand’s novel, Atlas Shrugged. Neither remembered the other’s face clearly. Both were married already. And she had a five-year-old son. But in the span of a few letters each discovered his soul's mirror image. So how could they live apart?